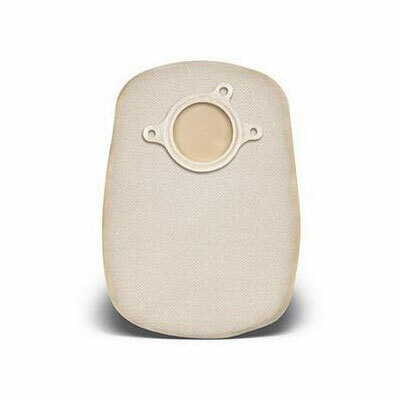 Flexible and discreet, the Esteem® one-piece ostomy pouch system is the all-in-one solution that combines the skin barrier and pouch in a single unit, allowing for a simple, secure, and comfortable experience. Available with Stomahesive® technology that gently adheres to skin and protects skin from breaking down. ConvaTec's ostomy pouch allows for draining and has a easy to use clip less closure called InvisiClose®. Sold by the box of 10.